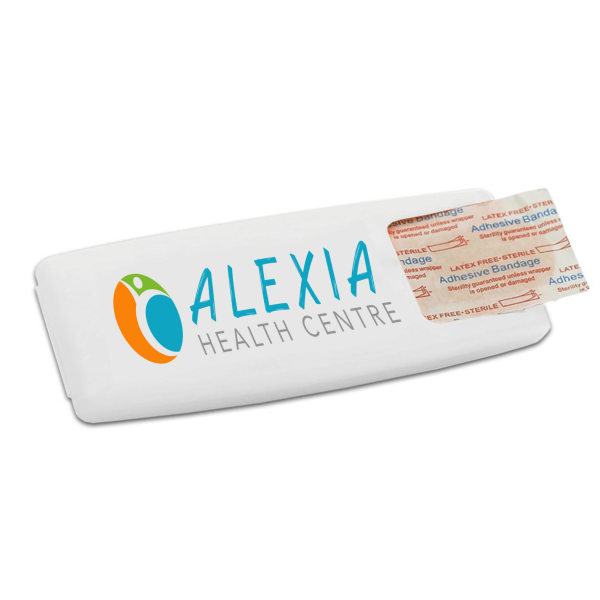 Our totally redesigned bandage dispenser gives a fresh and modern look to an enduring promotional giveaway. It tucks in a pocket or purse for easy portability. It includes 5 sterile, latex-free adhesive bandages. Its unique design makes it easy to refill with any brand of bandage. Perfect for hospitals, schools and travel agencies. Full colour imprint is included.